3 Months of Microbrews from independent breweries across the United States. Each month beer club members will receive four different selections, three of each (12 total) of 12 ounce fresh bottled beer. A creative gift idea for the beer lover in your life. Perfect for Birthdays, Graduation, Thank You and just because. 100% Satisfaction Guaranteed on every order. 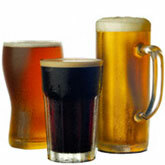 Along with the beer comes our monthly microbrew newsletter. Included is information on the featured breweries for the month, their beer tasting notes, beer and food pairing suggestions and other beer related information to help you enjoy your membership. My son-in-law loves to savor a good beer. He was thrilled with this gift. We laughed that his first delivery was from micro-breweries within a day's drive. Still, they were beers he had never tried before, so that made them interesting. He said they were excellent! He is looking forward to his next deliveries and I was happy I could get him a gift he really appreciated. He is a wonderful son-in-law and not easy to buy for as he is so humble he never will tell me what he wants. This was a perfect gift! Not sure I should be writing a review yet - the shopping was easy and navagativatable for even me, but I want it for a Christmas gift, so the delivery of and following of instructions is still to come. I'm sure my son will enjoy receiving this gift and look forward to the next month. It was an easy choice for me. My grandfather loves to try different kinds of beer so we thought this beer of the month club would be the perfect birthday present for him. Boy, we were right! He raved about the selection of brews he received. Thanks beergifts.com for your awesome service! We will definitely be ordering again! I ordered this monthly beer club present for my son for Christmas as he is a big fan of beer. He has really liked the selections each month and said it's the best gift he got this year. This website was easy to use, thanks for your helpful service! Perfect gift for beer lover. The recipient loved the selections that they received. Can you enjoy your hops while keeping it light and easy? You can if you're drinking Red Brick Blonde. This is an easy-going light ale that you can sip through a dinner party or chug during a celebration, but the flavor profile comes with an unexpected kick of peppery hops. It comes from the combination of Cascade and Bravo hops, but the Wheat and Two-Row Pale malts do their job to keep things mellow. Expect a grainy aroma with floral highlights and a hint of lemon. Then brace yourself for the toasted flavor that delivers that zing of spice. The name may make you think more of a wild party than a proper dinner party, but Laughing Skull is a rich beer that you could serve to just about anyone. It started out as a Bohemian Pilsner exclusive to one restaurant but has now resurfaced as an Amber Ale packed with quality malts. More than 10 malts go into this recipe, and the Spalt, Bravo and Cascade hops do a great job spicing things up in the background. It starts with a spicy aroma that lets those hops speak loud and proud, but it's the toasty character of the flavor profile and the bursts of spice and citrus that keep this skull laughing. There are a couple of things that you must do when drinking an Old Yankee Ale. First, don't drink it right out of the fridge. Give it a bit of warmth for a more intense bitterness. Second, pour it into your favorite beer glass. This is the only way to enjoy the deep copper coloring and the light brown head that fades into sticky lacing. Take a moment to enjoy the aroma because it may remind you of a great fruit salad. We're talking hearty apples mixed with a punch of citrus. The flavor follows with delightful sweetness, but the bitterness rises to your palate at the end of every sip. Are you ready for something sweet? Bring out the Mystic Bridge IPA, and it might reward you with a kick of bitterness as well. The Caramalt, Crystal and Pale Ale malts take the lead in the flavor profile, delighting your sweet tooth with each sip. Then you have the Chinook, Cascade and Centennial hops to satisfy your citrus craving. Expect each Mystic drink to start with a citrus-heavy aroma, but it always ends with sweet caramel flavor and hints of rich apple. Make sure to pour it into a glass to enjoy the off-white head that fades out to delicate lacing. When you're tired of all the pumpkin beers that hit the market toward the end of each year, find your way to a bottle of Gingerbread Ale from Bison Brewing. It pours a deep red that is appropriate for the holiday season but uses cinnamon, ginger, and nutmeg in place of the pumpkin. These three unique ingredients add a seasonal spice to the flavor while delivering an aroma that is a close match to fresh baked gingerbread men. The Chinook hops and all malts are organic, and this is a light beer that you can kick back and enjoy by the tree. When it's time serve up a spicy dish, you know it's also time for a tall glass of IPA from Bison Brewing. This brewery is known for utilizing unusual ingredients, so it's not surprising that they're among the first to use Palisade hops. They also add Cascade, and Pacific Gem hops to the mix, and they're all organic. Add a blend of four organic malts, and you have a hard-hitting brew that leads with the hops and balances with the malts. As the full head of fluffy foam slowly turns to lacing, you'll enjoy sip after sip of citric hops followed by roasted, sweet malts. The name of this German-style Pilsner may remind you of the Wolverine State, but it's more of a tribute to Germany. It's produced on authentic German brewing equipment using genuine German brewing methods by a well-seasoned brewer from Germany. If that's not enough German for you, consider the German Tettnang hops that take a backseat to the Caramel and Two-Row Pilsner malts. Each glass offers a hearty fluff of white foam followed by a sweet aroma with hints of lemon, grass, and florals. Prepare for a flavor boasting sweet malts and the refreshing aftertaste that is equally sweet. Cheers to the goodness of German brew. Take one good whiff of this beer, and you'll know what's about to hit your taste buds. It comes with a bold aroma that will remind you of fresh coffee with a vanilla creamer, thanks to the brewers adding roasted coffee beans and vanilla bean extract to the brewing process. They also use a blend of Crystal 80, Black and Pilsner malts with enough Magnum hops to give it some balance. The flavor adds a delicious dark chocolate twist, and those hops jump through the coffee to add a touch of bitterness. This is the wake-up call that you can use at any time of day.